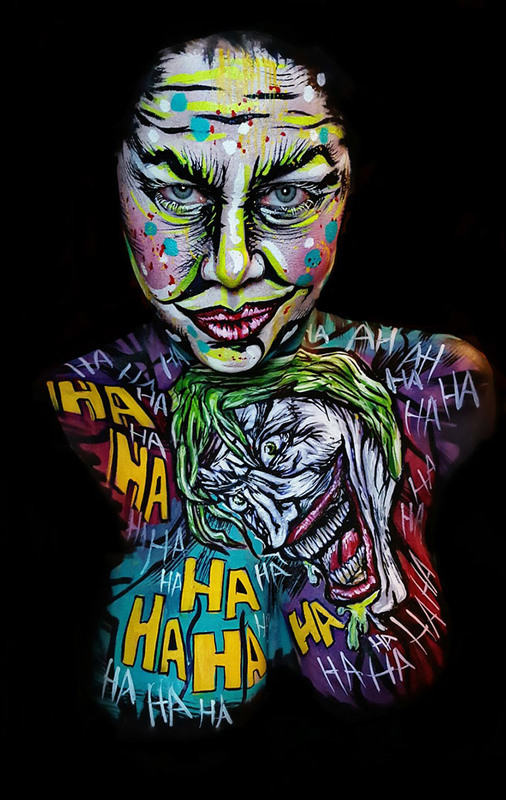 Inspired by the dark figure the Joker from the DC Universe. Art is everything to me, it has always been my voice, even when I was struggling to find my own. Art is everything after family- there is an art to everything, even nurturing! Being a makeup artist has helped me to develop a wide array of skills that I use in my daily personal life- creativity, organization and how I interact with others- its a beautiful thing when we can create with a purpose!